In June 2012, after 45 years in Sun City, we decided to relocate to the neighboring city of Temecula to better serve the regional community and provide a place for Jewish and Jewish-Interfaith families to come together to worship, celebrate, and study. After the building housing Temple Beth Sholom was sold, services were held for a time at the Cherry Hills Senior Center in Sun City. After this year-long transition, in 2013, Temple Beth Sholom found a home in neighboring Temecula and moved into the Temecula Chamber of Commerce Building. 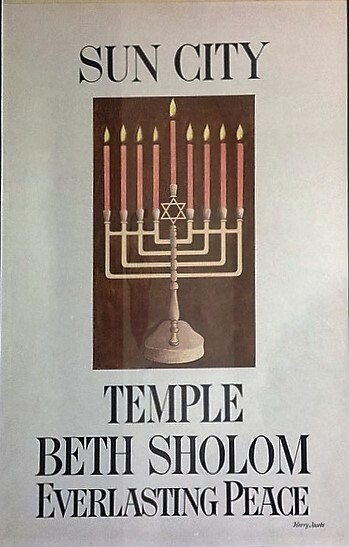 This is a prime location because as our congregation grows our relationship with the city does too and makes deeper roots for the Jewish community.Learn more about Temple Beth Sholom of Temecula’s Mission or clergy. Have questions about membership or want to get involved? Contact us today.